Our customers are spending their hard earned money on making sure their glass is recycled. We don't take that responsibility lightly! 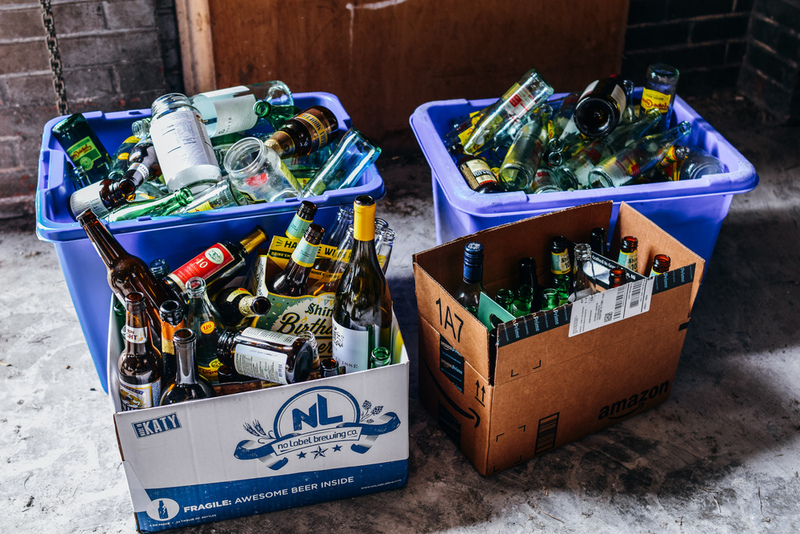 Strategic Materials, a leader in the glass recycling world, has stepped up to help us out. Strategic Materials has provided the Hauling Glass team with a roll off bin and Tristan's dad has provided us with a storage location! Once the roll off bin is filled, Strategic Materials hauls off your glass to their recycling facility to be processed. I signed up! What do I put my glass in for my first pickup? Put your glass in whatever is most convenient. If it is left in a recyclable container like paper bags or cardboard boxes, we will recycle that for you too! Otherwise, we will leave behind your container along with your brand new Hauling Glass bin. I have an old recycling bin, can I use that instead of the Hauling Glass Bin? Of course! Our business revolves around reusing so we would be thrilled if you use an old recycling bin. If you decide to use your own bin, you can choose the "returning customer" option when signing up so you're not charged for a bin you don't need.